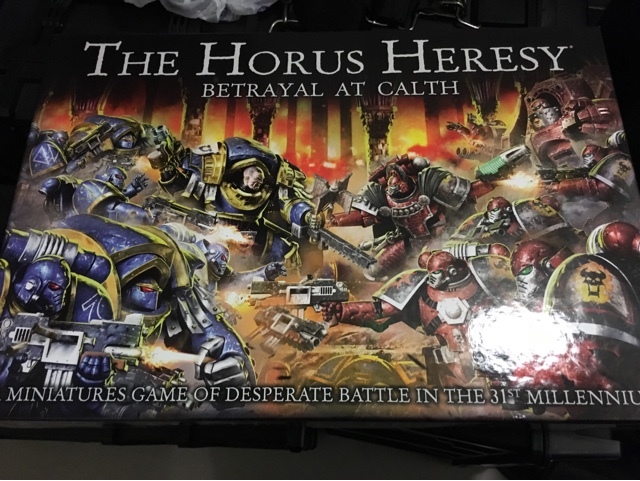 By now I am sure that those of you who are interested in this sort of thing have heard about it, but in November, Games Workshop is releasing a Horus Heresy boxed game. 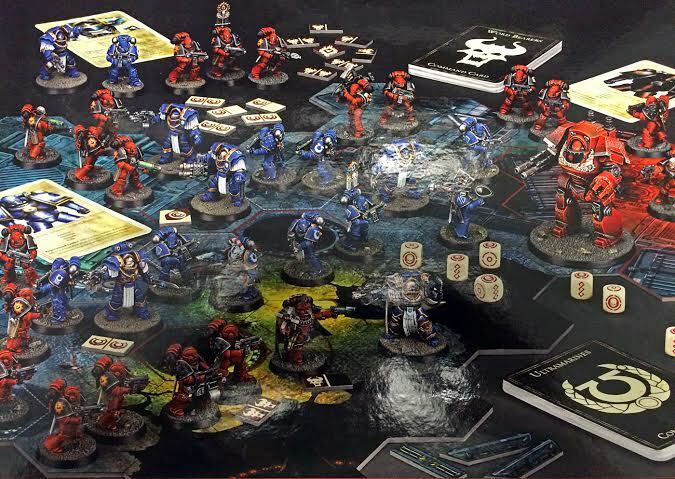 The box will have 30 multi part mark IV marines, 5 terminators, 2 heroes, and a Contemptor dreadnought, for $150/£95 (plus some sort of board game that 99% of people will never play). Previously, you could get all of the above from Forge World in various sets for the princely sum of £300+, so multipart plastic at 1/3 the price is quite nice. A while back, the fine chaps at Canister & Grape had a 7th anniversary contest, and against some sort of cosmic rule, I won a prize. I was delighted this Friday past to receive the above in the mail. The picture is a bit hard to make out due to glare, but what you see there is a quartet of press fit Warhammer 40k Orks, and a "Finecast" version of the Ork Warboss Gazghkull. 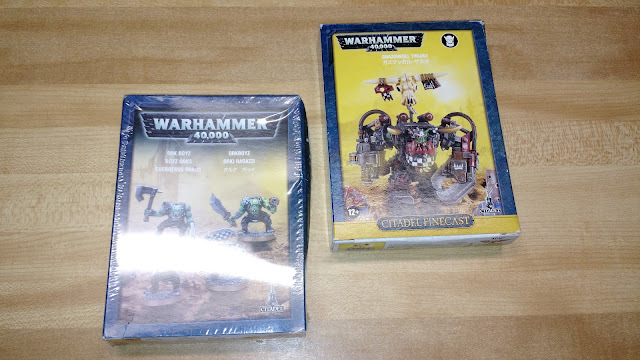 I have painted a few Orks before, but with these fellows I have enough to make a little skirmish band, and I have never worked with Finecast before, so I am looking forward to investigating that as well. (the box was so light that it almost seemed to be empty!) As it happens I also have a spare of Gazghkull's mortal enemy Commissar Yarrick [not, as it would appear, shoelaces]. Now if someone would like to send me some zombies for Zomtober, a Tank for Tanktober, and a dreadnought for Dreadtober... well, that would be quite alright, but you had better get on it, the month ends soon. 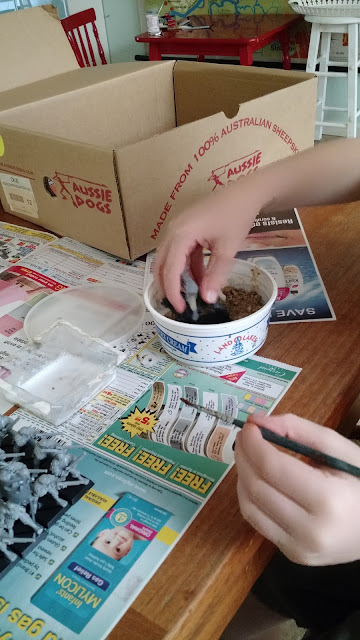 Yesterday I was home from work with the kids, due to a change in my wife's work schedule. While child #2 slept, #1 and I had a quick lesson in basing. The 20 handgunners acquired in my Ebay score last year were quickly claimed, and I made a couple of conversions to them as requested (added a banner bearer, and mounted one on a horse to be a "leader". 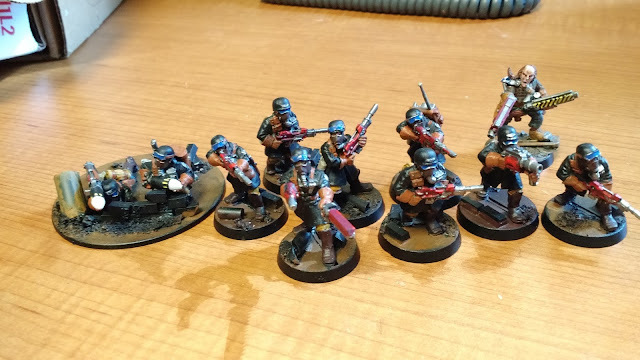 I have also put together SGII stats for these guys, and the Tau I painted, so I should be able to put a game together if needed.